It’s hardly been a dog’s life for this pet product mogul. 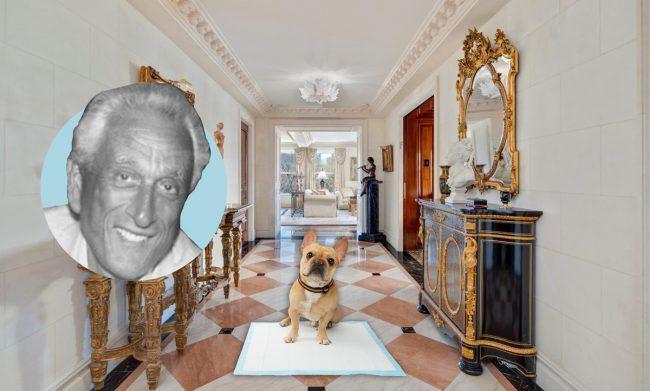 Allen Simon, inventor of the Wee Wee Pad for dogs, is listing his Fifth Avenue condo for $39.9 million. 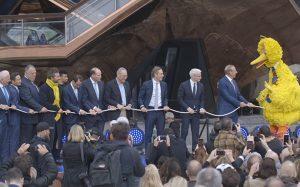 Simon and his wife Cynthia bought the home for $10.8 million in 2000, the Wall Street Journal reported. The over 5,400-square-foot apartment covers a full-floor at 838 Fifth Avenue. Accessible via a private elevator, it has five bedrooms and five-and-a-half bathrooms. 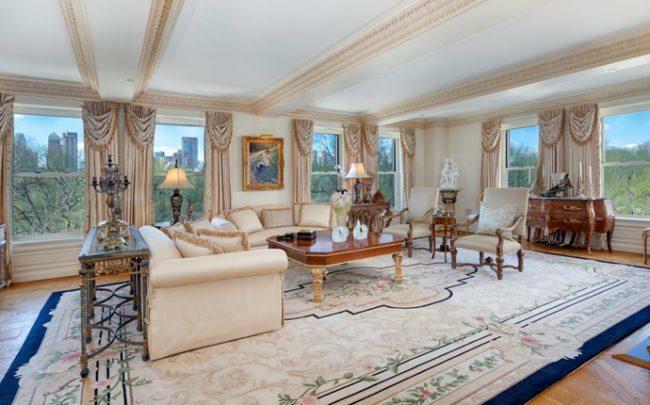 The great room and formal dining room have direct views over Central Park. The apartment also has a wood-paneled library with gold-leaf ceilings and a wet bar, two wine cellars and two Juliet balconies. Daniela Kunen of Douglas Elliman has the listing. Simon began working in carpet installation in the 1960s, but had a brain wave about dog urination. He noticed that dog owners were using newspaper until their pets were house broken. “I said this is ridiculous; I’ll make my own pad,” Simon told Pet Advisor.com in 2010. He opened Puppy City Stores in Brooklyn, and then went on to found Four Paws Products, where the Wee Wee Pad was a bestselling product. He is now CEO of PetProducts.com.